I may have just seen the worst movie ever made. 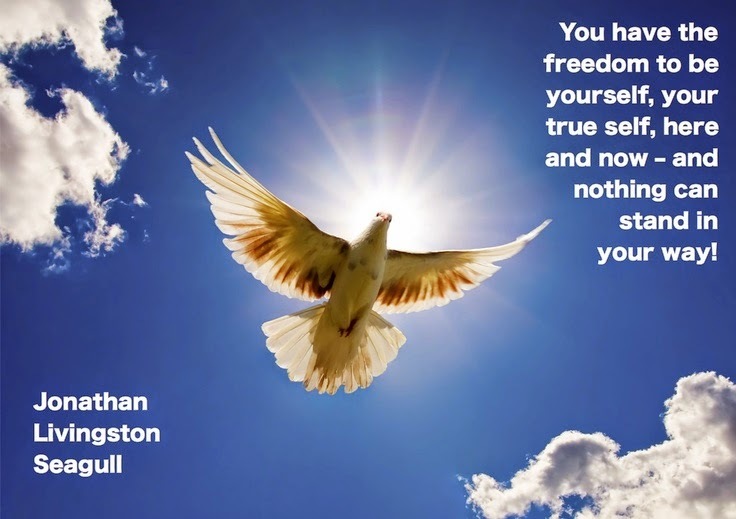 A well-meaning math teacher in middle school introduced me to the book Jonathan Livingston Seagull. I guess when I was eleven I thought it was deep. It may have been the first allegorical novel I ever read. I find the book laughable now: pure sixties hippie pap/self-help claptrap/just plain crap (papclapcrap). In the feel-good seventies, a major motion picture was inevitable. At the end of the opening credits, the audience is informed that the film is dedicated “To the real Jonathan Livingston Seagull, who lives within us all.” Great! Now I must have an expensive operation to remove the seagull who lives inside of me because the thought of a loud, filthy sea bird living inside my abdominal cavity FREAKS ME OUT. Chang encourages Jonathan to return to his flock, forgive them, and teach them. You know, so that the whole shebang can transform itself into a labored Christ allegory, only with more feathers. Jonathan returns to the flock and mentors a young gull named Fletcher. Metaphysical hijinks ensue. Could Jonathan be the only Son of the Great Gull? That’s actually not a summary. That’s the whole plot. Younger readers may be surprised to learn that, when this nonsensical book was originally published, it was a sensation, selling millions of copies and topping The New York Times bestseller list for 38 weeks. 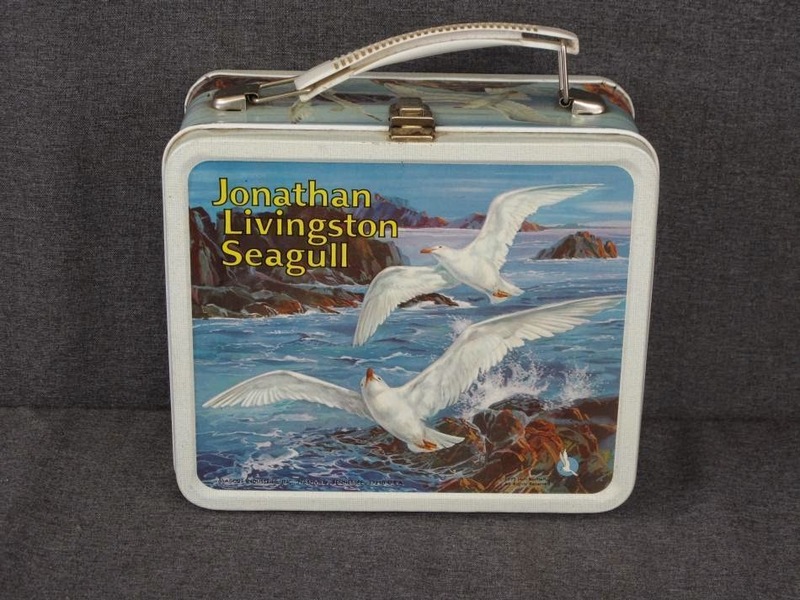 There were magazine articles, parodies, inspirational posters, t-shirts, coffee mugs, collectable plates, ashtrays, rug patterns, embroidery kits, and children’s lunch boxes. The “novella” was pretty weak tea, but the film is even worse. Jonathan Livingston Seagull cuts out wide swaths of the original text because it would be too hard to film with real birds—who, in case I have not mentioned it yet, are the ONLY actors on the screen. Author Richard Bach actually sued the filmmakers, angry that the film did not contain more of his awful book. 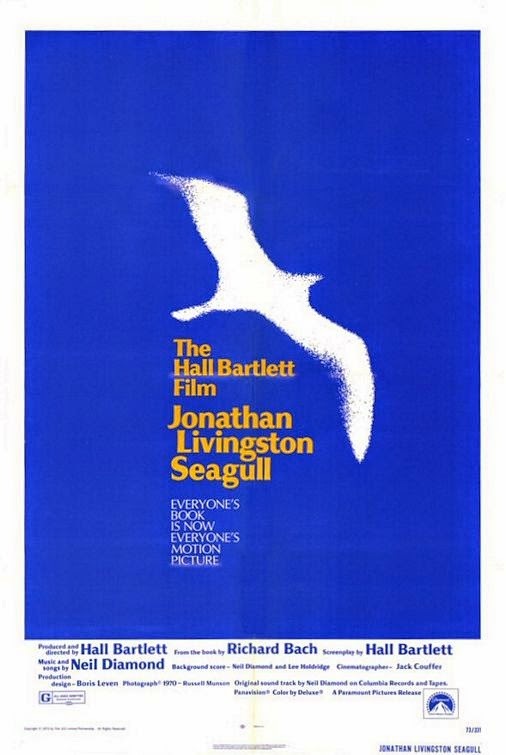 Director Hall Bartlett also sued Neil Diamond, claiming that the score he wrote for Jonathan Livingston Seagull was not up to his “usual high standard.” Diamond’s score went on to sell three million copies, and won a Grammy and a Golden Globe to boot. I actually commend Bartlett for his ambition in taking on this project and deciding: a) NOT to make an animated film, à la Watership Down; and b) NOT to somehow invent CGI forty years before it was actually invented (though that would have made his job so much easier.) Instead, Bartlett spent two years filming real birds and then attempted (failed) to cut the footage into some form of narrative, hiring actors to record the trippy dialogue that was supposedly emanating from the gulls’ (non-moving) beaks. What we have here is both a triumph of the Kuleshov Effect (which holds that audiences will forge a connection between ANY two shots in sequence) and what Disney old-timers used to call “illustrated radio.” The latter was their derisive term for done-on-the-cheap Saturday morning animation where the soundtrack conveyed all story information. Turn the sound off on these shows, the animators said, and you would be lost. Without its hushed, reverent, pseudo-mystical soundtrack, we might mistake Jonathan Livingston Seagull for a painfully slow Animal Planet documentary about seafowl. Apparently Bartlett contracted a radio-controlled model airplane expert to manufacture some radio-controlled seagulls for long shots, but the parts of this film that made me queasy were all the sequences of the birds congregating on the ground. There is an extended sequence where the entire flock confronts Jonathan on the beach, and our protagonist is surrounded by hundreds of other, largely immobile birds. Did Bartlett somehow tie the birds down? Is that not beach sand that the gulls are standing on, but quick-drying cement? Is that a “stunt Jonathan” made of ground flounder that the other, real birds are eyeing hungrily? How the hell did Bartlett get this many birds to stay still for so long? Birdie tranquilizers? Perhaps he played Neil Diamond’s score through loud speakers on the beach and induced the birds into a kind of coma. Or we can turn instead to the movie’s “hit song,” which played on the radio all the time to hype the release of film. FUN FACT: The record album made a tidy profit; the film did not. Actually, with its delusions of grandeur and nonsensical spirituality, Diamond may have been the perfect choice to score this empty-headed, hushed and reverent silliness. LET’S ALL PLAY THE NEIL DIAMOND GAME: Take any simple phrase and then add pointless details and redundant prepositional phrases to it. Viola! You are a hit songwriter! For seagulls. Draw out your vowels and shout the last line in a husky, macho voice. There it is: Instant Neil Diamond! Post your faux ND creations in the comment section below. and feed the human race’s face? WAIT, THERE’S MORE: After a near-death experience in 2013, Bach was moved to write an epilogue and republish his masterwork as Jonathan Livingston Seagull: The New Complete Edition. I can hardly wait to (not) read it. Frankly, I’m not even going to tell you where you can find this movie— I love you all too much. Use those two hours of your life to learn to fly high, babies. Fly high. And then sigh. My, oh my. Never ask why. Right into that sky. *For the record, the other films Ebert walked out on were Caligula, Tru Loved, and The Brown Bunny. Everything about this is mind-blowing. I didn't think I would learn so much today. Outstanding stuff as usual, JB! They showed this to my class in Jr. High. It's such a garbage movie. Unlike Ebert I had to watch this entire freakin thing. Argh. Frustration. 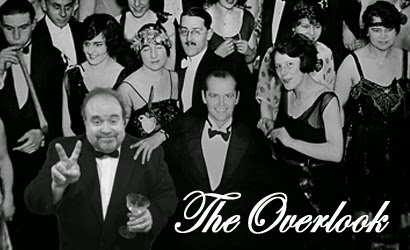 I feel like the Overlook selections have been on a downward spiral lately. Hang in there JB! We appreciate all your pain and suffering! Thank you, Andy. Next week I talk about a GOOD movie!